← How Do I Replace a Lost or Stolen Car Title? There are many reasons why you might have a heap of old car parts laying around. You could have had a junked car that you took apart, you might have inherited several pieces from a friend or family member, or they could have even been collected through years of garage sale shopping. Regardless of how you got your car parts, the options you have for putting them to use are the same. Although there are probably endless ideas for putting old car puts to good use, there are 3 common applications we see in the industry. Continue reading to learn 3 great things to do with your old car parts! If you are an artist or craftsman, you might enjoy cleaning up and polishing your old car parts, and then using them to create metal artwork, like chairs, tables, statues, wall racks, and more. You can also make old car parts into interior fixtures for your home, such as lighting fixtures, bathtub faucets, and several more interesting things. Many people are making amazing and useful artistic creations from old auto parts, and you can too! A common useful application for an old car part is to refurbish it and reuse it for another car. 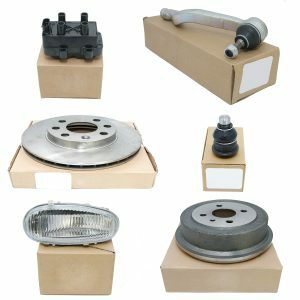 Many auto part stores actually sell OEM standard used car parts that have been professional refurbished and market for resale as a used product. However, if you have a perfectly good spare car part, you can just use it for another vehicle that needs it, wait for a time when your vehicle will need it, or sell it to someone who needs it now. All three options are a great way to put an old car part to good use. It can even make you some money! If your old automotive parts are not good candidates for refurbishment and resale, you can still make good use from them. Scrap metal buyers will purchase your old car parts, regardless of their age or condition; and many scrap metal buying companies will even pay cash on the spot. If you do not wish to make a profit, you can simply donate them for recycling instead. Scrap metal and junk car buyers recycle and reuse all components to a vehicle, and you can maybe use your donation as a tax write off. So it is a win-win scenario! Sell Your Junk Car Parts to Us! This entry was posted in Junk Car Buyers and tagged junk car parts, old car parts ideas, sell auto parts, sell junk car, sell old car parts. Bookmark the permalink.